Terrorism, as defined by the Federal Bureau of Investigation (FBI), is "the unlawful use of force or violence against persons or property to intimidate or coerce a government, the civilian population, or any segment thereof, in furtherance of political or social objectives." The destruction inherent in any act of mass terrorism inevitably causes secondary environmental pollution effects, many of them serious. Acts of terrorism can also be directed against the environment itself, or specific natural resources such as freshwater, oil, or agricultural products. The secondary environmental effects of terrorism can often be as significant as its primary effects. The attack on the World Trade Center (WTC) in New York City on September 11, 2001, had negative health consequences beyond the staggering loss of life. The collapse of the structures and subsequent fires spewed an enormous cloud of dust and toxins into the air over the city. Pulverized concrete, building materials, heavy metals, and human remains were inhaled by residents and rescue workers in lower Manhattan until a heavy rain three days later washed away most of the dust. suffer from asthma and respiratory illness brought about by dust inhaled at the site. Some airborne pollutants and dust were resuspended as a result of ongoing cleanup efforts. The secondary pollution concerns include possible contamination of waterways around lower Manhattan as well as the challenge of where to dispose of the catastrophe's 1.2 million tons of waste. Fresh Kills landfill on Staten Island has been accepting WTC debris, some containing asbestos and other toxic materials, despite being slated to close December 31, 2001. 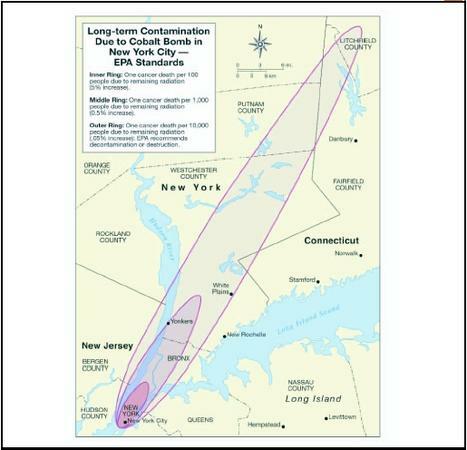 Since Fresh Kills was not designed to accept hazardous waste, there is concern about whether or not contaminants could leach from the landfill into surrounding groundwater. SOURCE: Adapted from Environmental Health Perspectives, Vol. 109, No. 11, November 2001. Asbestos Carcinogenic. Causes tissue damage in the lungs when inhaled over long periods and can lead to asbestosis, mesothelioma, and lung cancer. Used as an insulator and fire retardant, applied to steel beams. Benzene Flammable and carcinogenic. Short-term effects include dizziness, headaches, and tremors. Long-term exposure can lead to leukemia. Combustion of plastics. Biohazards Exposure to blood and body parts can transmit infectious diseases such as hepatitis and AIDS. Human remains. 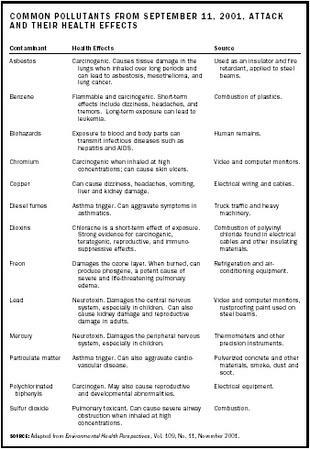 Chromium Carcinogenic when inhaled at high concentrations; can cause skin ulcers. Video and computer monitors. Copper Can cause dizziness, headaches, vomiting, liver and kidney damage. Electrical wiring and cables. Diesel fumes Asthma trigger. Can aggravate symptoms in asthmatics. Truck traffic and heavy machinery. Dioxins Chloracne is a short-term effect of exposure. Strong evidence for carcinogenic, teratogenic, reproductive, and immuno-suppressive effects. Combustion of polyvinyl chloride found in electrical cables and other insulating materials. Freon Damages the ozone layer. When burned, can produce phosgene, a potent cause of severe and life-threatening pulmonary edema. Refrigeration and air-conditioning equipment. Lead Neurotoxin. Damages the central nervous system, especially in children. Can also cause kidney damage and reproductive damage in adults. Video and computer monitors, rustproofing paint used on steel beams. Mercury Neurotoxin. Damages the peripheral nervous system, especially in children. Thermometers and other precision instruments. Particulate matter Asthma trigger. Can also aggravate cardio-vascular disease. Pulverized concrete and other materials, smoke, dust and soot. Polychlorinated biphenyls Carcinogen. May also cause reproductive and developmental abnormalities. Electrical equipment. Sulfur dioxide Pulmonary toxicant. Can cause severe airway obstruction when inhaled at high concentrations. Combustion. With the passage of time, and through the cleansing effect of rainfall and the specialized cleanup efforts of the U.S. Environmental Protection Agency (EPA), air quality in lower Manhattan has now returned roughly to pre-9/11 levels. However, despite reassurances from the EPA and the Occupational Safety and Health Administration (OSHA), residents of lower Manhattan worry about the long-term health effects of dust and particulates deposited on rooftops and windowsills, and in the ventilation systems of nearby buildings. Only now are the long-term effects of exposure to Ground Zero being studied. After the attacks of September 11, 2001, federal and state authorities began to wonder what else might offer a tempting target for terror attacks. New York City and other large cities immediately took steps to protect their water systems by guarding the infrastructure and testing the water for known contaminants. In 2002 President George W. Bush's administration passed the Public Health and Bioterrorism Preparedness and Response Act, which required, among other actions, that all water utilities across the country conduct security assessments to gauge possible vulnerability and take steps to protect their water. The environment can also be a conduit for terrorism. Biological elements such as disease-causing bacteria and viruses can become potent weapons when taken out of their natural environment. Shortly after the attack on the WTC, several pieces of mail in and around Florida, Washington, D.C., and New York City tested positive for the biocontaminant anthrax. Anthrax is a bacterium that, in its most potent inhaled form, has a fatality rate of over 90 percent. Over ten thousand people may have been exposed, and five people died of inhalational anthrax before the contaminated mail was quarantined. The FBI and the Postal Service have offered a $2.5 million reward for information leading to those responsible, and medical researchers have been working on a cure. Authorities have not yet determined if the anthrax-contaminated mail is connected to al-Qaeda and the events of September 11, but the combined effect of these two attacks occurring in close proximity served to heighten the perception that America is under siege. Biocontamination is not the only threat to safety in the United States. One of the most frightening terror scenarios that government officials must consider is the possibility of a nuclear device, or "dirty bomb," being detonated in a U.S. city. Quite separate from the direct human health consequences, the environmental effects of even a low-yield (five kiloton) nuclear weapon are severe: The shock wave will disperse radioactive fallout over a wide area, poisoning wildlife and groundwater. The heat (thermal radiation) will destroy plants and trees. And although the global nuclear winter theory (cooling of the earth's surface due to airborne fallout, thus blocking sunlight) has largely been discredited, this phenomenon can have devastating effects on local agriculture and ecosystems. The United States is often a target of asymmetrical warfare , such as terrorism, because of its military superiority and worldwide economic interests. Many scholars studying peace have reasoned that, in order to defeat terrorism, we must remedy the conditions that give rise to it. One of the most pressing American national security interests is ensuring continued global access to natural commodities such as oil, minerals, and timber. However, the United States already consumes approximately 30 percent of all raw materials consumed by humans in a given year and is perceived as a nation that seeks more than its fair share of the world's resources. One concern is that as the world population grows and resources are stretched to cover its needs, supplies will fall and prices will rise, making necessary commodities available only to wealthy countries or the upper class within a country. This means that the rich would get richer and the poor poorer, and such inequity of supply and distribution might give rise to unilateral actions on the part of those who feel they are on the losing end of this globalization gap. To reduce this potential for conflict, developed societies are being encouraged to recognize that global resource consumption and international security are connected, and that obtaining resources cooperatively rather than competitively will enhance long-term security. International agencies can help to ensure the equitable distribution of critical resources both between and within countries. In addition, nations can contribute their relative expertise to finding new sources of natural resources, to developing substitutes for commodities such as oil and natural gas, and to enhancing conservation and efficiency technology to certify that existing resources are used to their maximum benefit. If poorer citizens can be assured they have access to the resources needed to live, they are less likely to adopt combative ideologies that lead to terrorism. SEE ALSO E COTERRORISM ; W AR . Gugliotta, Guy, and Matsumoto, Gary. (2002). "FBI's Theory on Anthrax Is Doubted." Washington Post, October 28, 2002, A1. Hawley, T.M. (1992). Against the Fires of Hell: The Environmental Disaster of the Gulf War. New York: Harcourt Brace Jovanovich. Klare, Michael T. (2001). Resource Wars: The New Landscape of Global Conflict. New York: Henry Holt. Makhijani, Arjun; Hu, Howard; and Yih, Katherine, eds. (2000). Nuclear Wastelands: A Global Guide to Nuclear Weapons Production and Its Health and Environmental Effects. Special Commission of International Physicians for the Prevention of Nuclear War and the Institute for Energy and Environmental Research. Cambridge, MA: MIT Press. Nordgren, Megan D.; Goldstein, Eric A.; and Izeman, Mark A. (2002). The Environmental Impacts of the World Trade Center Attacks: A Preliminary Assessment. New York: Natural Resources Defense Council. Federation of American Scientists. (2002). "Special Weapons Primer: Biological Warfare Agents." Available from http://www.fas.org/nuke . New York State Department of Environmental Protection. (2001). "Statement on Water Supply Security." Available from http://www.nyc.gov/html . U.S. Environmental Protection Agency Web site. 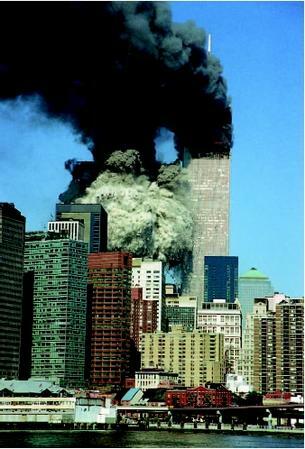 Further information on the environmental and human health effects of 9/11 available from http://www.epa.gov/wtc . Although there is some debate among scholars about the difference between war and terrorism, the retreating Iraqi army committed two particularly wanton acts of environmental destruction during the 1991 Persian Gulf War. First, they released six million barrels of oil from the Kuwaiti Sea Island offshore loading terminal, and scuttled five fully loaded oil tankers at the Mina Ahmadi terminal. They also set fire to 732 oil wells across Kuwait. These burned for months before they were extinguished. The combined oil pollution output from these acts totaled 1.5 billion barrels, or 6,000 times the amount spilled from the Exxon Valdez. The environmental effects of these acts were clearly immense. A plume of soot and oil droplets spread over 1.3 million square miles, contaminating the air with pollutants such as nitrous oxides, sulfur dioxide, polycyclic aromatic hydrocarbons, and vast amounts of CO 2 . The oil lakes on land have contaminated the fragile desert ecosystem, virtually guaranteeing that it will not regenerate for decades. The oil in the Gulf itself destroyed mangrove thickets, fish, shrimp, marine mammals, and sea birds. Ten years after the war, this region is still environmentally degraded.